Nokia has issued a letter to developers outlining the future for Symbian and Windows Phone 7 - and it seems the Finnish firm is a long way from being settled on a strategy. 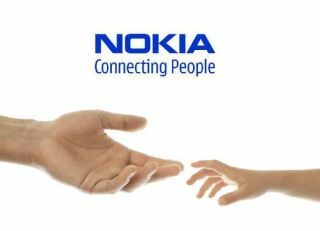 The Symbian platform will keep getting the same handsets planned for 2011 and 2012, which is what Nokia is calling 'its transition period'. "Operators have also been very supportive in their commitment to help us continue to sell and support Symbian devices while we make the transition to Windows Phone." However, the next crop of Symbian-based smartphones will still have a fair bit of gumption about them, with Nokia promising "GHz+ processing capabilities and faster graphics speeds" as well as "the first major update [arriving] in summer, delivering a new home screen, new flexible widgets, new icons, a faster browser, new Navbar and a fresh look and feel to Ovi Store and Ovi Maps, including integration of social media services in Ovi Maps." "For that reason certain markets will play a more significant role in selling the 150 million Symbian devices than others and we will be selling devices long after Windows Phone devices from Nokia have already started to appear in other markets. "That is why we cannot give you the date when Symbian will no longer be supported."